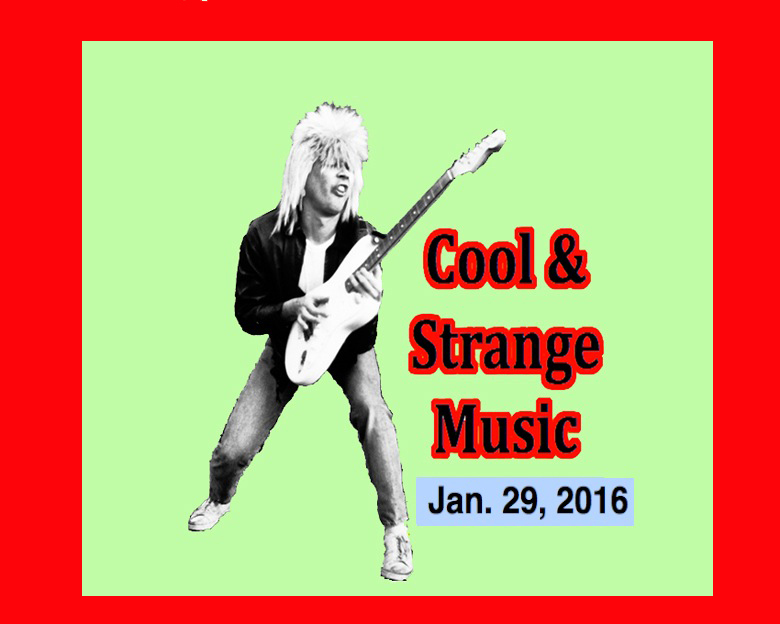 We’re back to Cool & Strange Music for Jan. 29, 2016! And do I have some strange and cool stuff for you today. First up, is Oleg Kostrow. Oleg Kostrow is a very prolific Russian synth & sample artist, and the member of the Messer Für Frau Müller duo, and Messer Chups. He mixes modern beats with cool & crazy samples. And speaking of people from the East, at #2 is also a guy from a faraway land. It seems that North Korea has (or hasn’t?) blown off a hydrogen bomb. That puts our #2 song in the news this week. North Korean military propaganda videos are very boring (as are all military propaganda). So the creator of this video took the footage and tried to sync it up with some delicious disco groove (Jimmy Bo Horne – Dance Across the Floor). It’s really funny in places where it looks like the editor had it almost in sync. It’s worth several laughs. Check it! The artillery firing off in unison with the trumpets towards the end is hilarious! 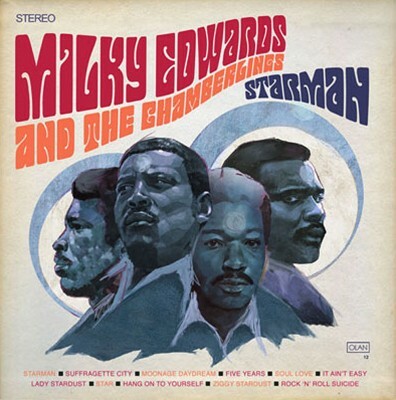 Finally at #1, Milky Edwards & The Chamberlings. Did a a gospel group record an album of cover versions of all the songs on David Bowie’s “The Rise and Fall of Ziggy Stardust and the Spiders from Mars” album in the 1970’s? On YouTube you can find three videos of someone playing songs from this album (that doesn’t exist) being played on a record player (with record noise added for special effect). The videos were uploaded in early 2012 and recently they started to draw attention (you can also check out the very basic website: www.milkyedwards.com). Milky Edwards and the Chamberlains. Track listing: Starman, Suffragette City, Moonage Daydream, Five Years, Soul Love, It Ain’t Easy, Lady Stardust, Star, Hang Onto Yourself, Ziggy Stardust, Rock N Roll Suicide. Heck, while we’re here, I’ll link to the other two existing videos! Read more about Milky Edwards and the Chamberlings here. 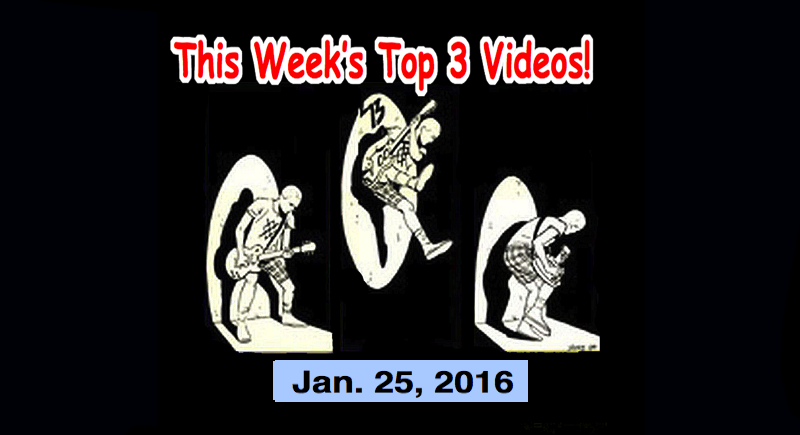 Top 3 Videos for Jan. 25, 2016! Killmama, Dukes of Hamburg, Ginger Wildheart and Courtney Love, The Sleaze-Aholics! That says it all as to why I didn’t post anything for these 3 weeks… Like almost every other radio DJ I know; we were in mourning. I did, though, write my tribute to Bowie along with my eulogy here: Cool and Strange Music Countdown – Jan. 14, 2015 – David Bowie Tribute! (robot55.jp/blog/cool-and-strange-music-countdown-jan-14-2015-david-bowie-tribute/) Please check it if you want to see what I thought were the best Bowie videos ever. 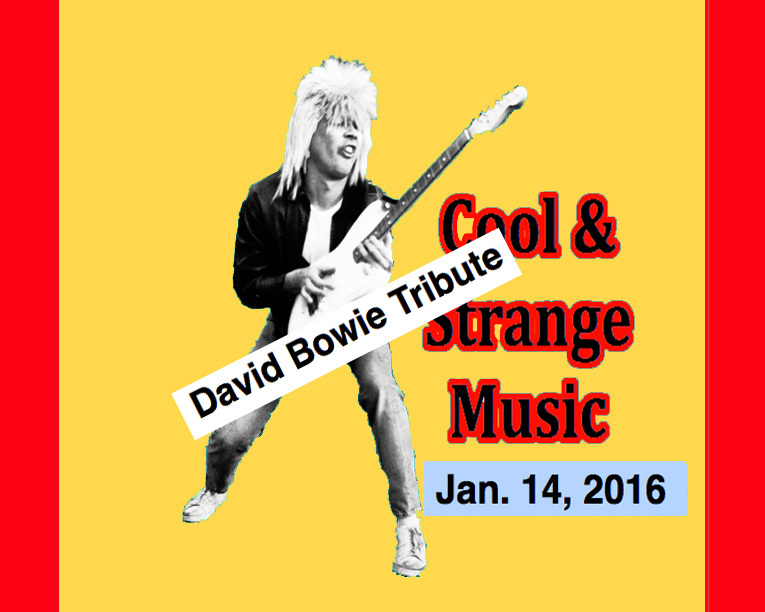 Cool and Strange Music Countdown – Jan. 14, 2015 – David Bowie Tribute! Welcome friends! It’s time once again for the Cool & Strange Music Countdown! It’s been a sad week this week due to the passing of one of the greatest stars of the 20th and 21st centuries. You all know I am talking about the death of David Bowie. Bowie so influenced my life. When I was a teenager, David Bowie was just about all I ever listened to. I did listen to other music, of course, but no one ever touched my life or enthralled me like Bowie did. I wanted to be like him and even look like him. And, on Jan. 11, 2016, Bowie made me remember how to cry again. This is the Cool & Strange Music countdown. And what could be cooler than David Bowie or stranger than he? Today, I want to share with you some of David Bowie’s music, art, fashions and some of the really fantastic and bizarre videos he made. There’s so many great Bowie videos that I couldn’t possibly list them all. This first video is a great start as it has an interesting story. It was 1972 and David Bowie was breaking big in England. David Bowie was the first rock star of the seventies. Before him, all the bands were remainders from the sixties and the Vietnam War and the Hippie movement. Bowie came out with outrageous red hair, and androgynous look and spandex clothes. He looked totally different from all other rock stars. He appeared on “Top of the Pops” with the Spiders from Mars (His band from “Ziggy Stardust and the Spiders from Mars”). This was the moment the Bowie became a superstar. Watch carefully as he captured an entire nation of British girls when he points at the camera (at about 1:35) and sings, “I had to phone someone so I picked on you-u-u-u!” Every girl in the UK fell in love with him at that very moment because he was talking directly to them. A heart-throb not seen since the likes of silent film superstar Rudolph Valentino was born. Many Bowie videos were so artistically done that they belong in a category by themselves. 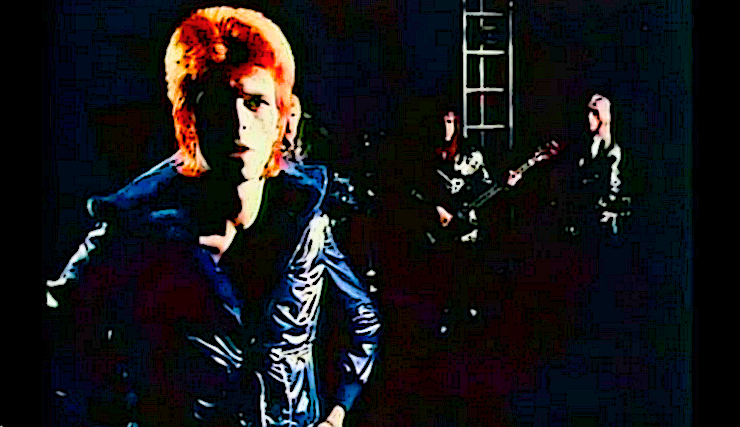 Here is a classic Bowie track with the bizarre video that looks like something out of a dream. Pay special attention to the characters in this video. Who are they? Why are they there? What does it all mean? I especially was floored by the appearance of his “mom”(?) at about 3:12. It seems like an experience we all had in our lives; our mothers trying to convince us to change our ways. Or, maybe in Bowie’s case, she is trying to convince him to “come back to earth.” Wow! What an imagination! “Life on Mars” was directed by the world famous photographer, Mick Rock. I guess I can say that the closest I ever came to Bowie was that Mick Rock’s wife, Sheila Rock, a famous photographer in her own right, has also taken my photo! I think if there ever just one Bowie song I could take to heaven, it would be this. What style and fashion! What great lyrics and what a touching song. Thank you David Bowie! I love you! Even in your death, you are with me and a guiding light to do greater things than myself. ビジネスのウェブページ 用テレビクオリティのビデオは¥70,000! TV quality 30 ~ 60 sec. video for your business? ¥70,000! 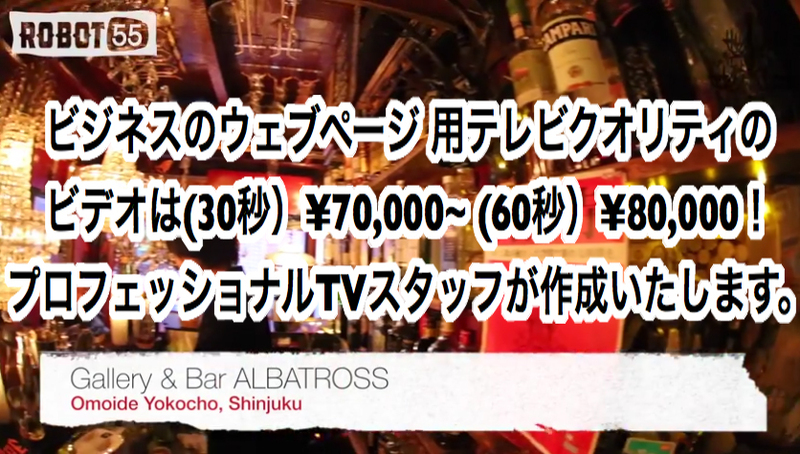 ビジネスのウェブページ 用テレビクオリティのビデオは(30秒）¥70,000~ (60秒）¥80,000！プロフェッショナルTVスタッフが作成いたします。 TV quality 30 ~ 60 second video for your business? ¥70,000 ~¥80,000. Top 3 Videos for Jan. 2, 2016! Girlpool, Primitive Parts, Prima Donna, The Spam69! Happy New Year! We’re back for the first Top 3 Countdown for the New Year! The best of the Alternative and Indies Rock Bands in the best Top 3 countdown! First up, at #3 is a folk punk band from Los Angeles, California and their name is “Girlpool.” Its members are Cleo Tucker (guitar, vocals) and Harmony Tividad (bass, vocals). The band does not have a drummer. So there!